In its long history, The Warhammer series created Games Workshop was inevitable that it would be adapted into the video game medium. 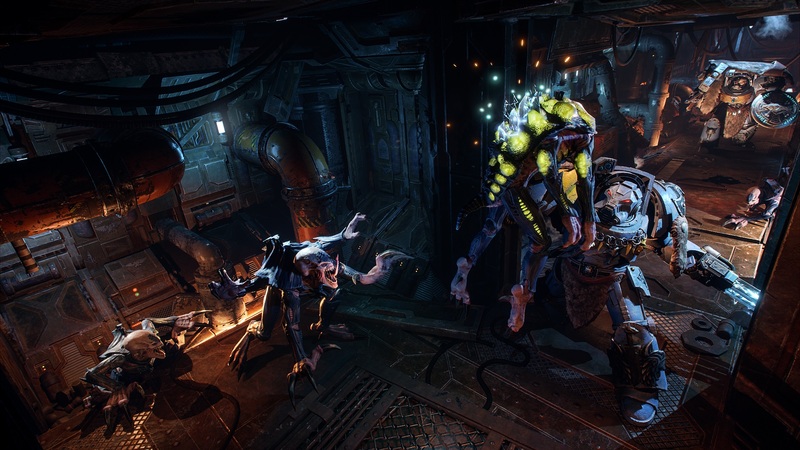 The latest adaptation, Space Hulk: Tactics, is set to release this fall on Windows PC, Xbox One and PS4 and I got some hands-on time with it at this year’s E3. Attempting to be a faithful adaptation of the spinoff board game, players of the game are in command of a squad of Terminator Space Marines or Alien Genestealers. During my time with the game, I couldn’t help but feel a sense of satisfaction over its 2013 counterpart. Before my match I was able to select my unit and customize their look. Out of the selection of the chapters Dark Angels, Blood Angels, Space Wolves and Ultramarines, I selected my favorite from the Warhammer 40,000 miniature game the Space Wolves. Before my match against another player, I was able to customize the color scheme and accessories to give my squad a distinct look. By the time I was complete, I came to notice that my space wolves looked more like Blood Angels wearing wolf pelts. The game itself looks fantastic, yet remains faithful to the Warhammer 40,000 grim future motif. The worn down metal corridors of the map and its dim lighting of the hallways emphasized the look of an abandoned, desolate, space station infested with enemies looking for blood. With the ability to control members of your squad in first person perspective, it helped to bring out the feeling that something can jump at you at any moment. Going into the match my objective was simple: to get to a room on the current map and light it on fire. My heavy weapons unit would be key to my victory and I needed to keep him safe. Moving all my units first, I ensured to block off as many passages that would directly lead to this unit as possible. My opponent spawned his Genestealer units at predetermined points on the map, and quickly began his attempt to surround me. Each unit in both factions has a set of action points that allows for movement, attacks, or interacting with the environment. Smart managing of these points allowed me to push through the tight hallways as I slowly made way to the goal. Unaware of my opponents actions while being aware of his ever growing force every turn, I was forced to think of different scenarios that might occur that can hinder me or cost me the game. My run in with one of my opponents Genestealers units gave me a quick cutscene, introducing the unit that was trying hinder my progress. Reminiscent of XCOM-based enemy introductions, I got an up close and personal look of my enemy’s vicious unit in great detail. 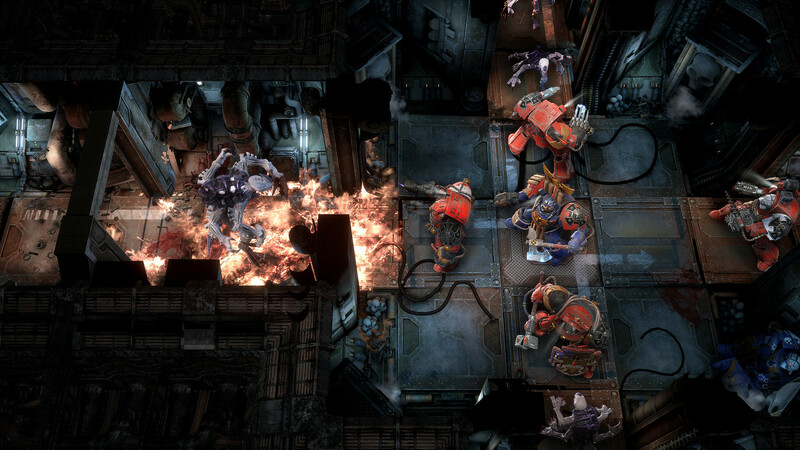 Space Hulk: Tactics thrives on being a turn based strategy game. Utilizing your squad, abilities, and thinking ahead of your enemy is key in order to achieve victory. A new card based system to give added abilities or being used for more action points gives a new spin and depth to the genre than ever before. Each unit has a set of 4 different cards that can be used and are selected before the game began. While I did not select any but the standard set already preselected, it ultimately was the smart use of the cards helped ensure my victory, during a dire situation within the last minute rush to my goal. Accompanying my time with the game, I also got to use the game’s map editor. The tool was easy to use and allowed me to place tiles around a very large grid to quickly generate the map I desired. To accompany this, I was able to select from a list of win conditions for both sides. I couldn’t help but think how much replay value this could add to the game. To add more flavor to the game, during my time creating my own map I was able to select the look of the location from three different styles. For example, the Ork style template made the map look like a makeshift base while the Eldar style looked like a mix of fantasy and high tech. Each room, hallway, door, and control console I placed around my map also had a couple of variant looks based on the template I selected. When I was finished, I was able to explore the map in first person perspective and fine tune the map for the vision I desired. 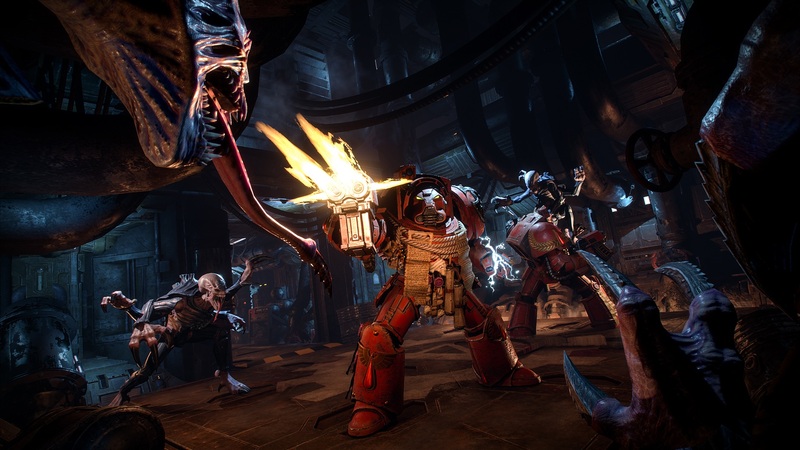 Space Hulk: Tactics caught me by surprise for me during my time at E3 2018. Shipping this year with a single player campaign for both factions of the game as well as multiplayer. Cyanide studio has done a great job capturing the traditional tabletop experience while adding a few new bells and whistles of their own. 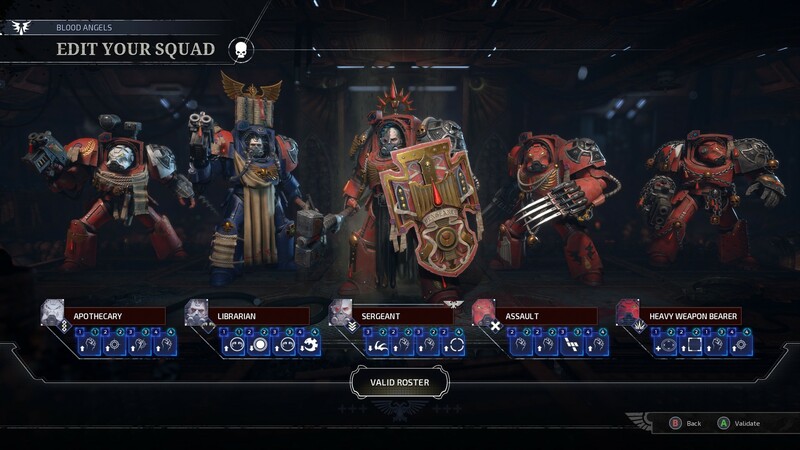 While my time with the handful of Warhammer games I’ve played have been hit or miss, Space Hulk: Tactics felt like it has done a lot of things right, and has greatly piqued my interest. 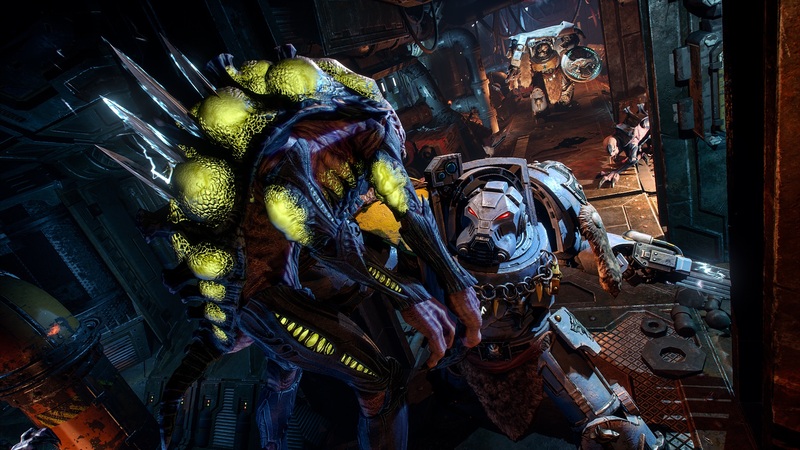 Space Hulk: Tactics is launching across Windows PC, PlayStation 4, and Xbox One sometime this year.